Gulf Shores vacation. When you say those words to me, I immediately think fun in the sun, white sand beaches, great food, and good times. I recently had the opportunity to take a sponsored trip down to Gulf Shores thanks to Gulf Shores and Orange Beach Tourism, and they didn’t have to ask me twice! The area is already a top vacation pick for our family, and we take any opportunity we can to get in some Gulf Shores vacation fun. My family and I were provided complimentary accommodations through Gulf Shores.com to help facilitate this review. All opinions are of course my own. Dining in Gulf Shores is equally important because it’s all about the food right? There are some incredibly delicious dining options in Gulf Shores. From creative and daring to good old fashioned, straight ahead entrees, these restaurants should definitely be a part of any Gulf Shores vacation. These are all the places featured on our getaway, and in my opinion, they’re the best of the best. 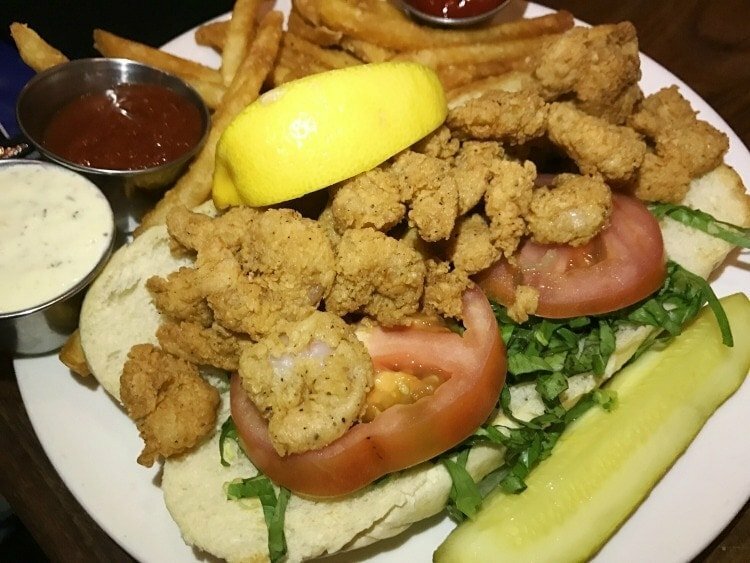 GT’s on the Bay has an excellent blend of old favorites like shellfish with butter, pizza, and craft beers, as well as some daring options like gingered calamari and firecracker shrimp. Enjoy your food as you take in the view of Wolf Bay in Orange Beach. 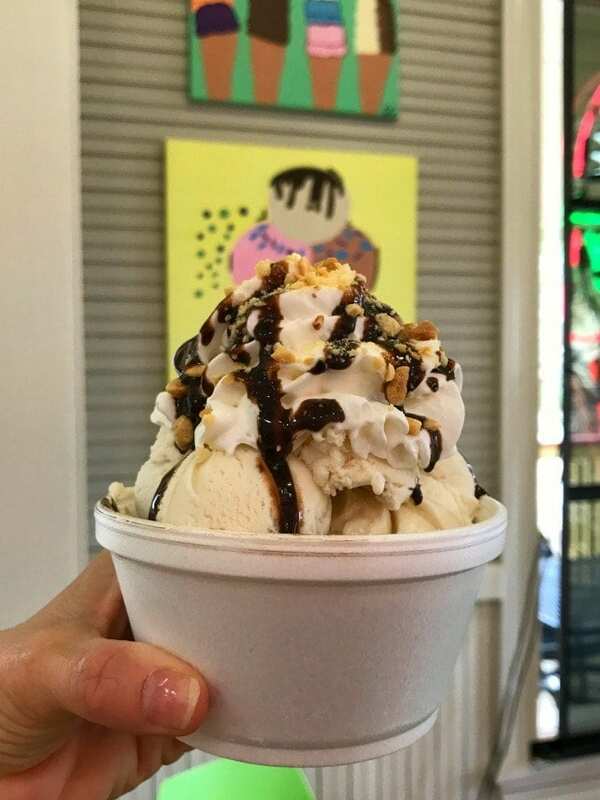 Matt’s Homemade Ice Cream features the best homemade ice cream in the area, Matt’s selection is all homemade right there and served fresh daily. A 20-year tradition of reinvented traditional Gulf Coast cuisine, Shipp’s Harbour Grill offers seven dining areas for your dining enjoyment. Three of them are on the water, so you can take in great views while you eat great food. Bringing a taste of The Big Easy to Gulf Shores, The Ruby Slipper Cafe offers breakfast, brunch, and lunch with a distinctive New Orleans feel. Enjoy comfort food coastal style with fresh, seasonal ingredients, and outdoor seating for gorgeous views of the gulf at Bill’s by the Beach. They have the best Comeback Shrimp around! Pastry Chef, Kim Asbury, and Barista Manager, Lauren Nelson bring patrons everything from simple breakfast options to from-scratch pastries to delectable sweets at BuzzCatz Coffee & Sweets. The also offer locally roasted coffee that’s the best you’ll find in the area. Breakfast here is an absolute joy. One of my personal favorites. Their espresso is delicious. Bringing the 50’s back in a big way, The Hangout hosts nightly music, limbo contests, and other Gulf Shores vacation fun for the family. Their food is some of the best in the area, with their WipeOut Burger featured in the “100 Dishes to Eat in Alabama Before You Die”. The girls loved this place so much, we ate there twice. Owner, Kitty Simpson, brings guests over 20 years of culinary experience at Kitty’s Kafe. Stop by this wonderful cafe and enjoy homestyle meals that scream southern comfort. Owned by Lucy Buffett, sister of singer Jimmy Buffett, and located on the Intercoastal Waterway, LuLu’s offers Gulf Shores vacation fun for all. Featuring Delicious food and an atmosphere of fun, LuLu’s has a variety of great fun for the whole family. Live, nightly music, The Mountain of Youth, a pre-meal activity for kids, sand volleyball, and boat slips for boat dining are just some of the draws to this restaurant. And for those with allergies or gluten issues, LuLu’s is serious about making sure that they keep the fun rolling and the misery away. Two restaurants in one, Upstairs and Dockside, Fisher’s Dockside offers a variety of delicious meal options including local produce, Murder Point Oysters, and more. The quintessential Gulf Shores vacation dining experience and one of my favorites. Cobalt Restaurant offers contemporary, coastal cuisine with waterfront views of Alabama Point. We thoroughly enjoyed our meal and the view BOTH times we ate there. Known for its fresh dishes, unique cocktails, and crawfish mac and cheese, the small, homey restaurant offers wonderful food and a laid back atmosphere. If you can tear yourself away from the 32 miles of gorgeous white sand beaches, Gulf Shores has other wonderful activities waiting for you. We had the opportunity to enjoy dolphin watching on a pontoon boat thanks to Coastal Kayak Excursion. On the way back, we anchored at Bird and Robinson Island for some fun in the sun on the beach. Captain Glenn, our guide, even had beach chairs and umbrellas for us. It’s an excellent way to enjoy Gulf Shores vacation fun for the entire family. This was the highlight of our trip. Running at 7:30 pm, 8:00 pm, and 8:30 pm, the SPECTRA Light Show is half an hour of exciting visuals for the entire family. Nothing is quite as much fun as fishing together as a family. The Gulf State Park Pier is the largest on the Gulf of Mexico at 1,540 feet long and 41,800 square feet. The pier is open for fishing 24 hours a day, and you can rent poles and buy bait on-site. Nicknamed “The Little Zoo That Could” by Animal Planet, the zoo earned its name by evacuating every animal in their care before Hurricane Ivan swept through the Gulf Coast. The Alabama Gulf Coast Zoo may be small, which I actually find more enjoyable because it doesn’t take a Herculean effort to see everything. Gulf Shores vacation fun is waiting for your family, and it’s waiting right now. The weather is starting to warm up, which means it’s the perfect time to get the ball rolling on a Gulf Shores vacation that your family will remember for a lifetime. We had a ton of fun on our trip, and I know you will, too. While you’re there, try the kayaking tours, the zoo, and of course, ALL of the dining options that you possibly can! I would most enjoy that it is close to home! The awesome food and the beach!!! The food looks amazing and my grandson would probably have a ball at the hangout! I would enjoy the beach. I would love to go to Gulf State Park Pier! I would enjoy the sound of the waves. So peaceful! I’d love to rent a boat and explore the coast. I would love to set sail on a Alabama Gulf Coast Cruise! The Beach looks so awesome! Whoa the coast is really beautiful ! I would really love the seafood! It looks like there are lot of choices on how to have it served. YUM! Would love to visit there. Just being at the beach, may try kayaking for the first time! The food looks amazing! Definitely gonna have to add this place to my bucket list. I would really enjoy spending time with my family at the beach. My kids have never gone to the beach so they would love it! I would also enjoy the seafood! What I enjoy most is the beaches!! The beaches look amazing! I can’t wait to plan a vacation here! Can’t wait for beaches – especially the Orange Beach Wine Festival! My whole family would love just hanging out on the beach & enjoying local restaurants. And I personally would like to check out Alabama’s Coastal Connection Scenic Byway…and make a few stops along it! I would like trying the different restaurants. I’d enjoy the whole atmosphere, I can’t wait to visit! I wouldn’t enjoy this most, but I was interested to know that there is an historic fort nearby. I would include a visit to Fort Morgan in my vacation there. Definitely the food and the beach would be a nice bonus! My family and I love Gulf Shores! I would enjoy the beach the most! The food looks great—and the beach! My family would love playing in the blue green water!! Eating fried chicken with your toes in the sand! Sweet Home Alabama! I would love the peace and quiet and great food there! Would love to visit Ft Morgan and of course, lounge on the inviting sandy beach and stuffing ourselves with yummy seafood! My friend lives there so it would be nice to see her. I would so enjoy the seafood the most! Geez…I can’t choose between: visiting historic sites, swimming, boating, trying new food, & ice cream! I think I need to add visiting Gulf Shores to my “to do” list! Fresh, delicious Gulf Shrimp with all the trimmings while sitting on a restaurant overlooking the Gulf! 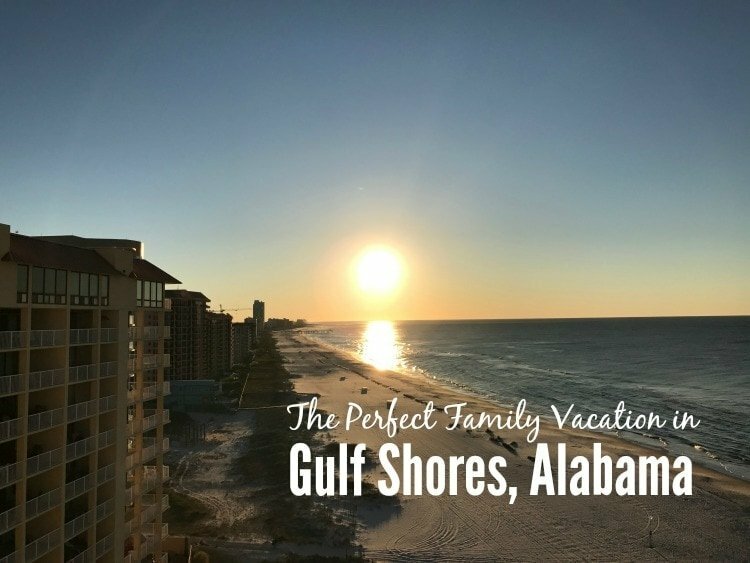 I have never traveled to Alabama, but after reading your post and the one on Gulf Shores, it sounds like an amazing trip that my family would love with its white sand beaches and the historic Fort Morgan, the kids would get a major kick visiting there and seeing their evening shows. Thank you for the giveaway chance. We would like the natural trails and kayaking. I would be excited to try the bike trails! The food! Looks so good!! I would most enjoy the food and the beach!!! Seafood and the deep sea-fishing! I’d love to walk along the coast. I’d like to visit Ft. Morgan – we enjoy historical tours. the beach and dining experiences are great to explore! Love the condo as home base! I would love spending time on the beach eating ice cream. I would enjoy the beach, all the great food and family fun!!!! I would love all the fresh seafood to try every night. Also love how Gulf Shores is such a family friendly town and the beaches are so clean. I would enjoy the beach and the food. We would love the beautiful beaches and great climate. Food & beach look great! I would love to try as many restaurants as I can–especially if I can eat outside while gazing at the ocean. I would like the historic Fort Morgan and food! We love historic place, Fort Morgan would be of great interest. Lying on the beach and visiting FT Morgan! I would enjoy the beach!!! The Gulf Shores in Alabama are beautiful! We’re going to the Gulf Shores this summer for the first time! I’m super excited about the white sand beaches and just a chill, laid back atmosphere! I would enjoy the beach and southern hospitality! I would enjoy relaxing on the beach and eating seafood! Fort Morgan sounds like fun as well. Thank you for the chance. I would like to relax on the beach and explore the waterways. the Pepsi beach ball drop next weekend would be fun! I would love to check out the beaches and have a meal at Another Broken Egg Cafe! I would enjoy relaxing on the beach, eating fresh seafood, and going on a chartered fishing trip. All that seafood is so enticing! I live in the Midwest, where it is not readily available. This would be such a wonderful place to vacation! Definitely going to do some research on this. Me and my children would love to win this…. I am excited to start receiving the news letters as well…..
the warm weather and the beach. My family has never been on a family vacation and this would be a dream come true! The beaches look amazing! Plus you definitely gotta eat on vacation so we’d check out a lot of the restaurants too! I want to visit the Pier and eat ice cream.